Read all about it! 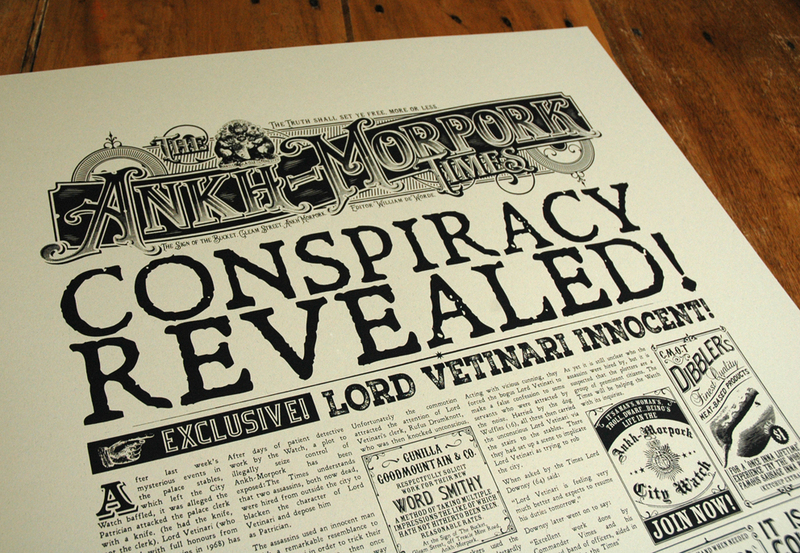 The Ankh Morpork Times! As I’m dyslexic, I’m not much of a reader but I do enjoy listening to audio books and I have to say my favourites are the Discworld series by the late, great Sir Terry Pratchett and expertly narrated by Nigel Planer and Stephen Briggs. So when I was comissioned by the Story Museum in Oxford to design a Discworld print for a special event I jumped at the chance. I hope you like it as much as enjoyed creating it. Posted in Prints. 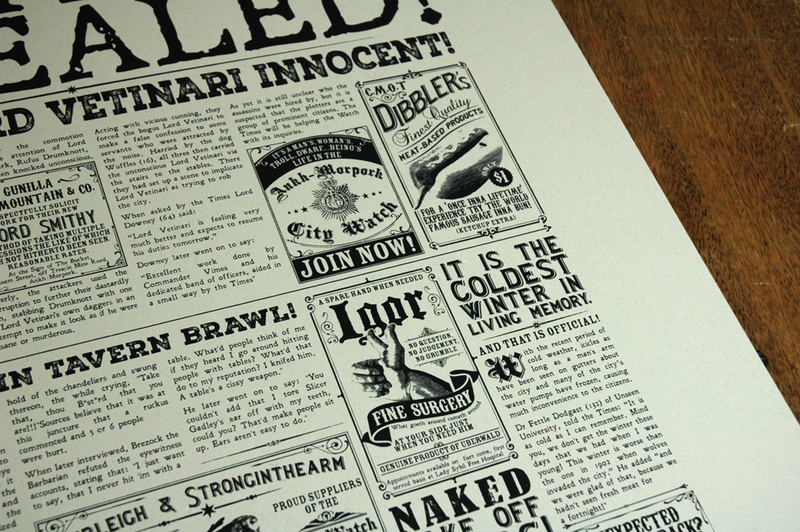 Tagged with Ankh Morpork, Discworld, Fantasy, geek, Humor, Humour, Screen print, Sir Terry Pratchett.